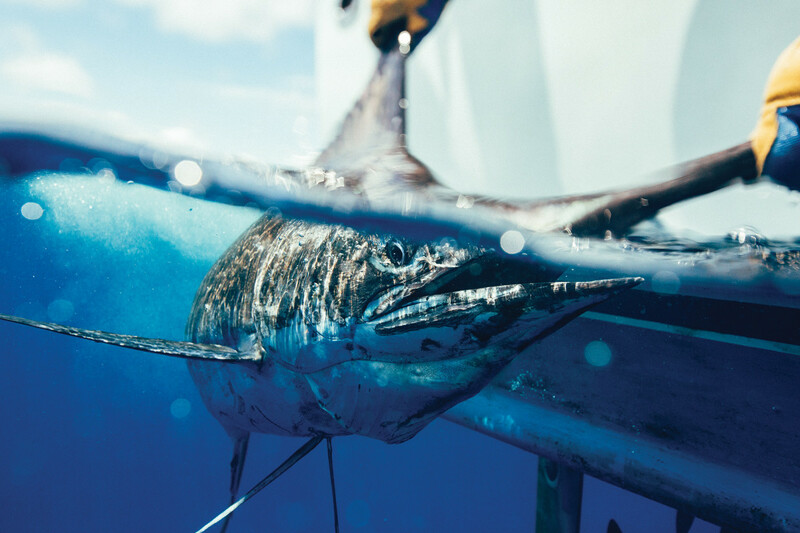 Aboard a Maverick sportfisherman off Costa Rica, a lifelong angler experiences three crazy hours of billfish bliss. A hot bite on a seamount off Costa Rica is one to savor. It lasted only a few hours, but they were three of the craziest hours of fishing I’ve ever experienced. 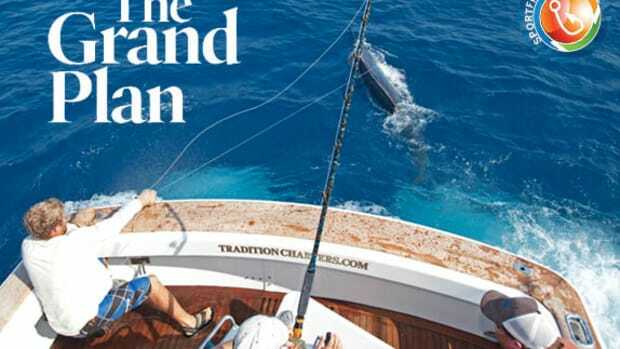 When it was over, we’d raised 25 blue marlin, had 15 bites and brought nine fish to the boat ranging from 150 to nearly 400 pounds. We’d had a couple of double-headers with two other fish on the teasers at the same time. 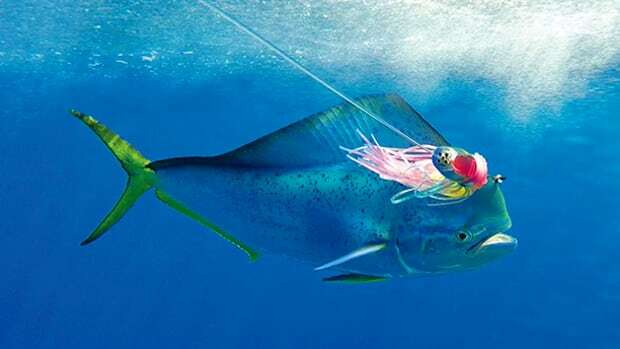 And for a few exciting moments, we’d been hooked up to three blues—and we’d never fished more than three baits or lures at one time. The acrobatics were a visual feast. 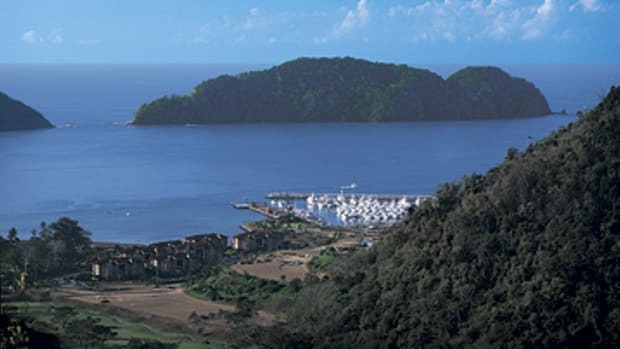 We were working a seamount about 75 miles from Los Sueños Resort & Marina, which is situated on Herradura Bay along the central Pacific coast of Costa Rica. 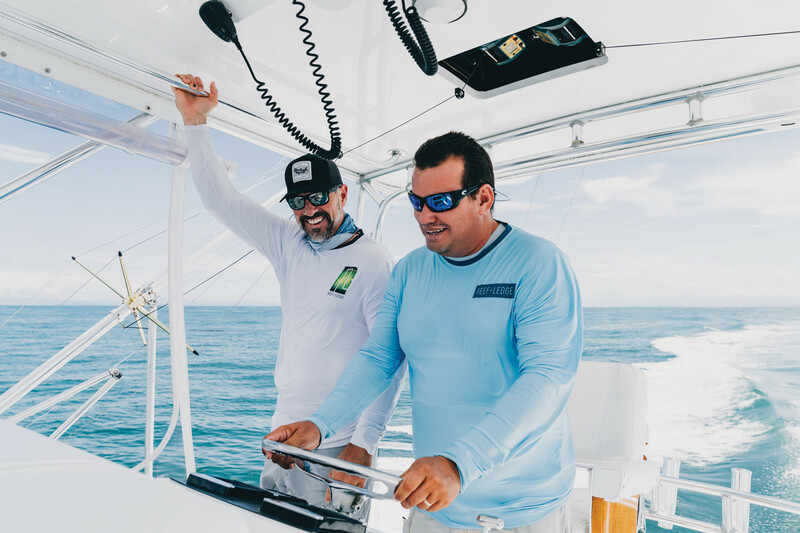 I was fishing with John Brownlee, a friend and the host of the 2018 season of Anglers Journal TV, which was filming a segment for the Discovery Channel. For three hours, it was non-stop action, fish after fish. Will Drost hooked it up. By 11:30 a.m., the action had slowed. We took a breath, watched the spread and had a cold drink. “Ouch,” Drost said, wincing. Mate José Francisco Brenes, who goes by “Poncho,” had snuck up and pinched Drost’s arm hard enough to leave a blood blister. Drost stands 6-foot-3 and is solidly built; Poncho is a good foot shorter. “Why’d you do that?” Drost asked, a mix of surprise and annoyance in his voice. As great as it was, we all wondered what it would have been like had we been on scene at, say, 5:30 in the morning rather than 8:30. Or if we could have fished all day. “If we were there from dawn to dark, we could have gotten 20,” Brownlee said. And if we weren’t filming a TV show, we would have bent more rods, too. It says something about Homo sapiens that no matter how good the fishing might be, we always want more. Those few hours gave me a clear picture of why someone might choose to spend their life chasing these remarkable pelagic wanderers. Photos don’t do justice to the speed, power or crazy aerial show the marlin put on as they leaped, crashed, twisted and greyhounded across the surface. It was a visual feast. 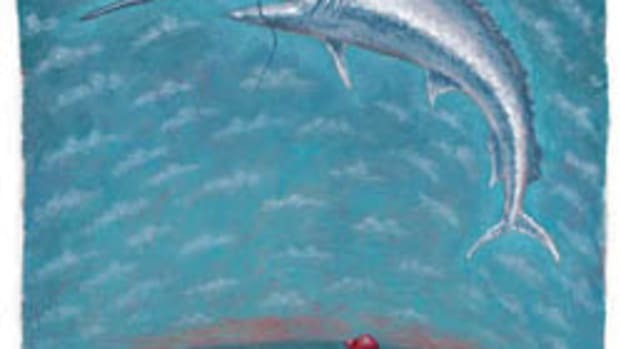 I remember one fish that boiled behind Drost’s pitch bait, leaving a crater large enough to swallow a Jeep. And I was fast to a streaking marlin when Brownlee’s deep voice boomed behind me. “It ain’t like catching tommy cod, is it?” he said, channeling the grizzled shark fisherman Quint from the movie Jaws. I grew up in New England, fishing for stripers, bluefish, cod and their cohorts. I never spent much time thinking about marlin. But that night when I closed my eyes, I saw those men in the blue suits rushing the teasers as I drifted on currents of sleep. The next morning, Drost said he’d dreamed of marlin too. At some point during the night, his smartwatch buzzed with a message, and he jumped up, thinking there was a fish on the right teaser. Drost is a likable guy: smart, well-spoken and passionate about family, fishing and the fishing business. You can hear southwest Louisiana in his voice, and he does a mean goose call when the fishing slows. He and his wife, Ann, graduated from Louisiana State University, where they met as freshmen. 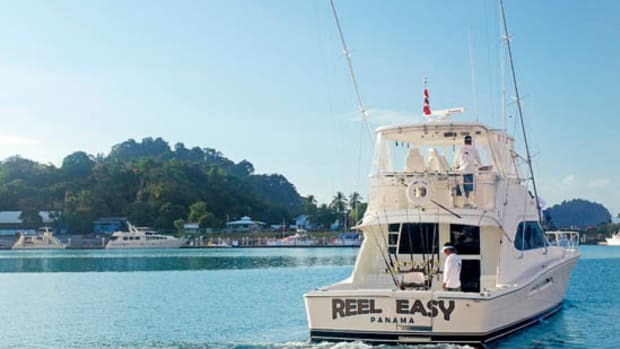 Their daughter, who loves to fish, got married earlier this year at the Los Sueños resort. His son loves to hunt. 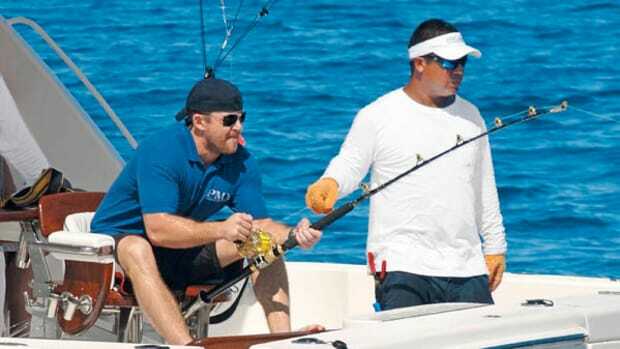 With partners, Drost and his wife also operate the new Maverick Sportfishing Center, a high-end greeting area and retail shop at the marina. Drost is also involved in the Maverick boatbuilding operation, which is owned by Larry Drivon and veteran Capt. Daniel Espinoza. 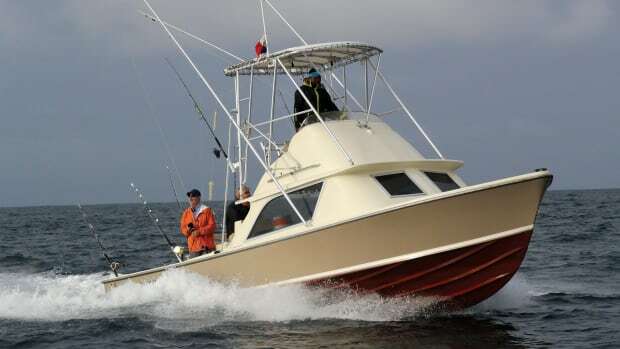 The shop builds a line of handsome, Erwin Gerards-designed, cold-molded sportfishing and sport yachts from 32 to 55 feet. The shop was chock-full with six new builds when I visited last summer, including Drost’s new 50, which launched this winter. He guided hunting and fishing trips in high school and college, and for a time had his heart set on making that his career. “My first dream was to be a guide,” Drost says. In hindsight, he says it was the right decision. “If I’d stayed trout and red fishing in Louisiana, I wouldn’t be here now,” he says, standing outside his Los Sueños condominium. The vista is mesmerizing: rainforest greens, parakeets and macaws, the blue Pacific rolling to the far horizon. 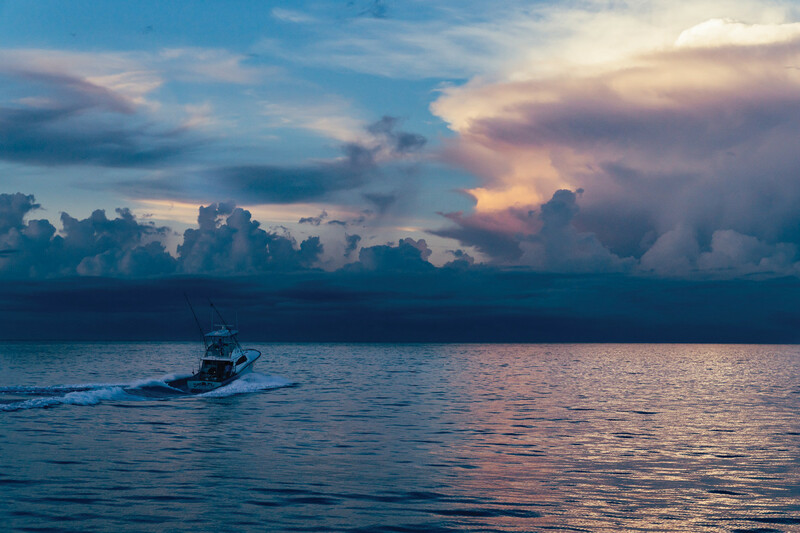 The crew heads for home aboard the 42-foot Maverick sportfisherman Sea Fly. We found our fish on the last day of a three-day trip about 75 miles out. They were congregated on a seamount, one of a series of submerged mountains off the coast. 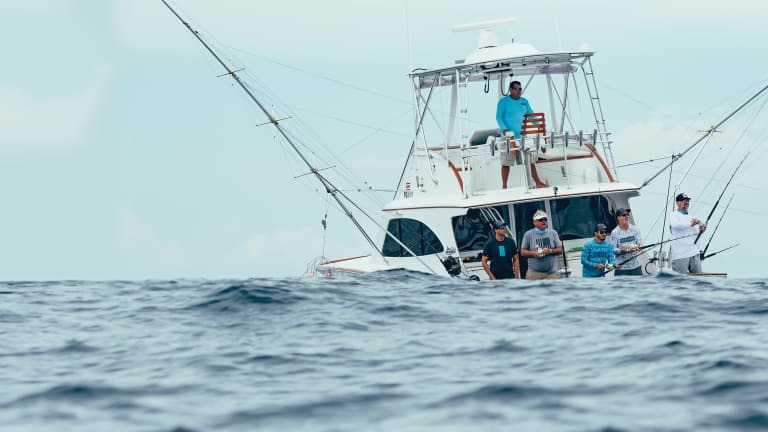 We had initially planned to fish the undersea ridges 120 miles offshore, but we’d arrived in Costa Rica following a storm, and reaching the mounts meant a long, tough slog in big, confused seas. Instead, we fished inshore for two days, and what had been a hot bite cooled some. 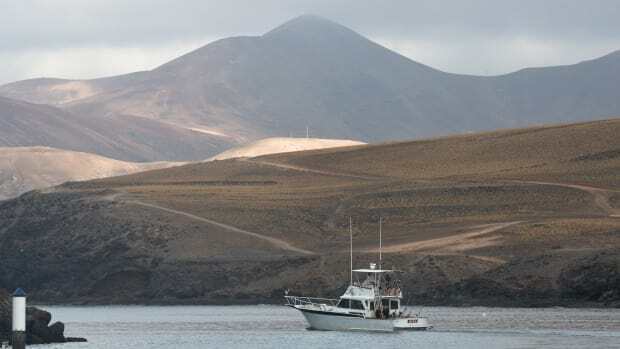 On our last morning, we left at false dawn, headed for a submarine volcanic range. 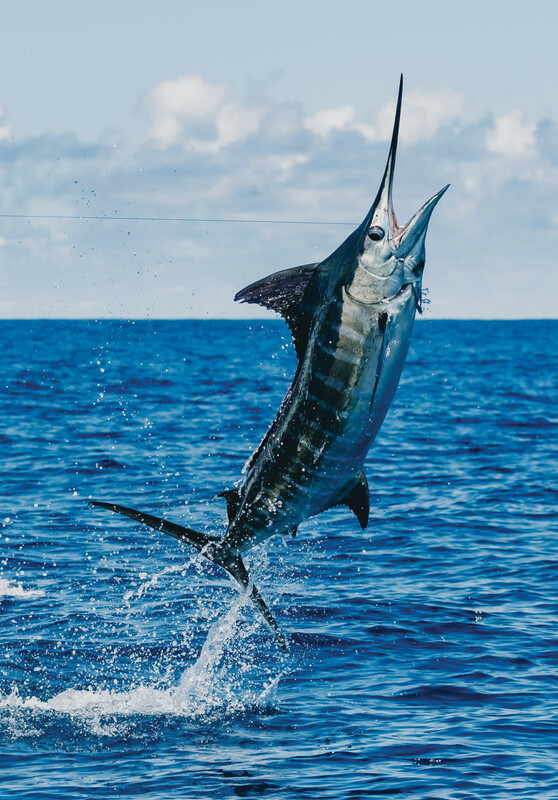 The Costa Rica blue marlin fishery on the seamounts has been sizzling for several years. We got just a taste of it. There are days when you just know things are going to turn out well. It was 6:30 a.m., and we were making the three-and-a-half-hour run offshore on our last day. Most everybody was trying to catch a little sleep. I was reading a book of poems in the salon. “You like poetry?” asked Poncho, 29. “Do you know Neruda?” he asked, referring to Chilean poet Pablo Neruda. hip-waders, undershirt, tattoos and hat. We nodded and smiled. To port, dark anvil clouds released their cargo of rain, pattering the boat and the warm Pacific. There was a hint of the surreal in the air. A sure sign. Ted Kooser’s “At the Bait Stand” is reprinted with permission of Copper Canyon Press.